9mm Brass: 2 Boxes available for shipment 4/29 - A+ Brass - Brian Enos's Forums... Maku mozo! I am currently accepting preorders for my next batch of 9mm brass. My current batch is all sold. Thanks to those who have ordered so far. Price for this batch will be $115 per 5000ea shipped. 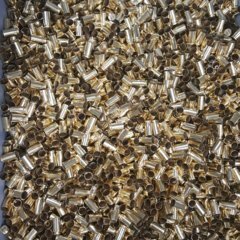 Brass will be cleaned, polished, and sorted to remove CBC, WCC, WMA, S&B, MEN, AUSA, AP, and any stepped cases (FM, IMT, Ammoload, and Maxxtech). I have 2 extra boxes available for shipment on 4/29. Please PM me or post if interested. Due to high demand I need to receive funds at least 7 days prior to your ship date to hold your reservation. To those that have already paid, I appreciate the support. Both batches are on schedule at this time. Thank you for your interest. I have sent you a PM. I have sent you a PM. Thanks for your interest in my brass. I'd like to order 5000. Thanks for your interest. I have sent you a PM. I now have you on my list. Thanks for your interest. I sent you a PM. Count me in to the next available batch. I’ll take 5,000 as well please. If available, I would like 5000. If any of the 02/27 or 03/04 batchs remaining I'd like to order 5000. Thank you both for your interest. I have sent you both PM's. At this time the 2/27 and 3/4 batches are SPF. I will notify you if there are any cancellations. The next batch is scheduled to start shipping on 3/15. Please let me know if you would like to book a slot on that batch. Parent just sent to your paypal. I'm in on the 3/15 batch for sure. I have you on the list. I will let you know when it is close to being ready. 3/4 Batch is all shipped. Everyone should have their tracking numbers. Next batch is in work and on schedule for 3/15 shipment. are there any available slot for the 3/15? I sent you a PM. The last 3/15 slot sold right after I updated. I have a spot for you on 3/20 if that will work. Can you add me to the 3/20 list please. Thanks in advance. Do you deprime before cleaning/tumbling?